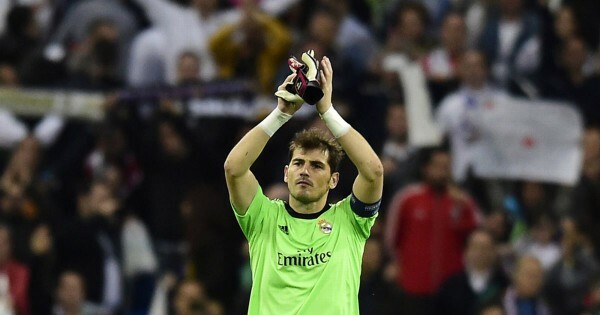 Real Madrid have agreed terms with Porto for the transfer of Iker Casillas. The deal could be announced officially in the coming hours and the goalkeeper will bid farewell to the Bernabeu at an event on Friday. The three interested parties are keen to close the deal before Real Madrid head to Australia for their pre-season tour on 12th July so that Casillas gets the send-off he deserves. The player confirmed through his agent that he was excited about the possibility of going to the team coached by Julen Lopetegui. The Spanish goalkeeper has been trending on Portuguese social media since Monday, a situation that increased to fever-pitch after it was confirmed that the captain of the Spanish national team is about to become a Porto player. Iker continues to be among the 'trending topics' on Twitter, where he was the subject of thousands of comments both yesterday and on Monday. Negotiations between the goalkeeper, 'Los Blancos' and The Dragons have also made the headlines in the majority of the Portuguese media and become the principle topic for comment on both radio and television. While waiting for the official announcement, and with the deal already in place, Casillas's signing is now undoubtedly one of the sports news events of the year.